Let me invite you to join Cathy and me in Israel, March 8-19, on the Insight for Living 2010 Tour with Chuck Swindoll. I will serve as a Bible teacher on one of the buses as we travel the Holy Land, learning the Word of God right where it happened. 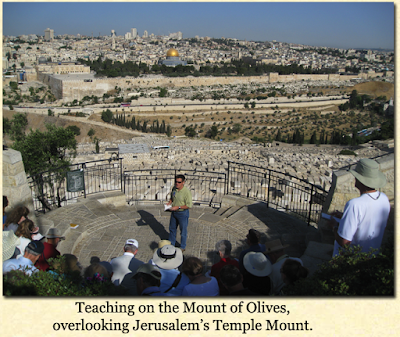 You will also enjoy Chuck Swindoll’s practical teaching at various sites throughout the tour. After seeing where biblical events occurred, you will never read your Bible the same way again! 96% have increased in their love for God and the Bible through the study of biblical geography. 98% noted that biblical geography helps their memory of biblical events. Visit www.insight.org/israel for more information on the tour, to watch video clips of what we’ll see, to read about the guest artists, and to reserve your place on the tour. Or you can download a tour brochure now with all the details. When you register, be sure to request my bus! Hope to see you there. Enjoy this video . . . as you hear and see for yourself the benefits of experiencing God’s Land of Promise.